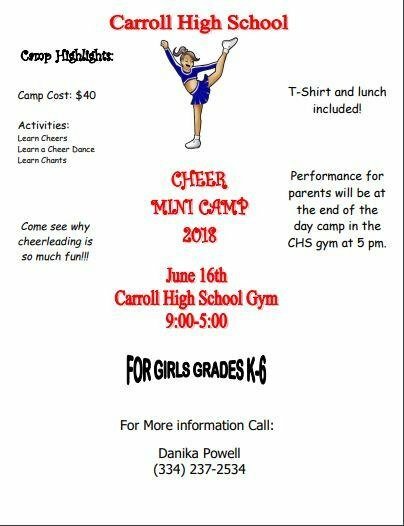 The CHS Basketball Cheerleaders will be having a mini cheer camp this summer; Saturday, June 16th, at CHS in the gym for girls k-6th. It is $40 per girl and they will receive a t-shirt, lunch and a snack. The time is from 9:00am - 5:00pm and we will have a performance for the parents at 5:00pm. 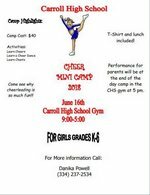 Registration forms are due to Mrs. Deal at CHS by June 4th.